Bitcoin is the first decentralized digital currency that first came into picture in the year 2009. It was the brainchild of a person called Satoshi Nakamoto. Unlike conventional fiat currencies, Bitcoins are not created or controlled by any central authority or banking institutions. Neither are they backed by any underlying asset, for example: Gold. Instead, Bitcoins work on the concept of cryptography and blockchain, where miners are required to solve mechanical puzzles in order to mine a block and earn Bitcoins as rewards. The first bitcoin in 2009 was purchased for USD 0.005 and the Bitcoin price today stands above USD 10,000. Bitcoins can be purchased, held and sold in digital forms and are now being rapidly accepted as a digital payment method by various organizations worldwide. Bitcoins work and rely on a technology called blockchain. Blockchain is nothing but a shared public ledger which gives Bitcoins its mechanism to operate in a transparent and secured manner. Since the blockchain is accessible to every Bitcoin user, any blocks added to it can be checked and verified by each one of them, thus making Bitcoin system extremely reliable. Also, since the copy of blockchain is available to every user, it has no single point of failure. Being a part of the blockchain, the users can easily check their Bitcoin balances and the new transactions recorded in it. The blocks in a blockchain are added through a process called Bitcoin mining which we will discuss in the next section. Since Bitcoins are not a centralized currency, there has to be a system which ensures stable, transparent and secured creation of new Bitcoins. This system/process is called Bitcoin mining. Bitcoin mining involves a specific task force called miners, who are required to resolve a complex mathematical algorithm, also called Proof of Work, in order to substantiate Bitcoin transactions and publish them on the blockchain. Each time the miners successfully verify and validate few Bitcoin transactions, a new block is added to the blockchain and they are rewarded with new Bitcoins. To ensure that the process is fair and attracts more and more miners, the difficulty of Proof of Work keeps changing with time. As the time progresses, the Proof of Work shall increasingly complicate, thus enhancing the mining difficulty. The system has been designed to limit the maximum number of Bitcoins mined at around 21 million. How do I own/buy a Bitcoin? Mining- which is the specific job of miners and will require user to solve cryptographic puzzles to earn Bitcoins as a reward. Purchasing them through an exchange– This shall require you to open an account with one of the many crypto currency exchanges available. You shall also be required to download a crypto currency wallet to hold such coins in a digital form. Trading them for a fiat currency– You can offer dollars, Yen, Euro, INR or any other acceptable fiat currency against the exchange of Bitcoin as per the exchange rates prevailing at that time. 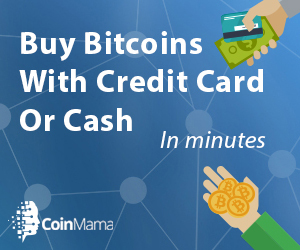 Accepting Bitcoins in lieu of product/services sale – You can decide to offer your products/services in exchange of Bitcoins instead of fiat currencies. Decentralized – This is the foremost feature of Bitcoin which separates it from any other currency. Bitcoin is not regulated centrally and runs on two integral systems -blockchain and mining. Since there is no gatekeeper to this currency, you do not need a permission to buy, sell or hold it any volumes. Irreversible – Every transaction added to the blockchain is irreversible in nature. In no circumstances can you change the ledger once validated. This applies to all transactions- whether Bitcoins are bought, sold, transferred legitimately or are stolen by a hacker from your wallet/account. Pseudonymous – There is no real world identity to Bitcoin accounts, transactions and wallets. The entire system runs on digital addresses which cannot be connected to actual people or places. Global – You can transact Bitcoin, no matter where you are physically located. Since the Bitcoin system runs on a global network of computers, there is no physical restriction to it. Transparent and Secured– The blockchain technology makes Bitcoin system extremely transparent. Its security comes from the encryption technology. Unless you misplace your private key, the system is more secured than most of the financial systems that currently exist.